As a hardened beauty blogger and crazed make-up addict, it’s not often that I find a product that totally takes me my surprise. 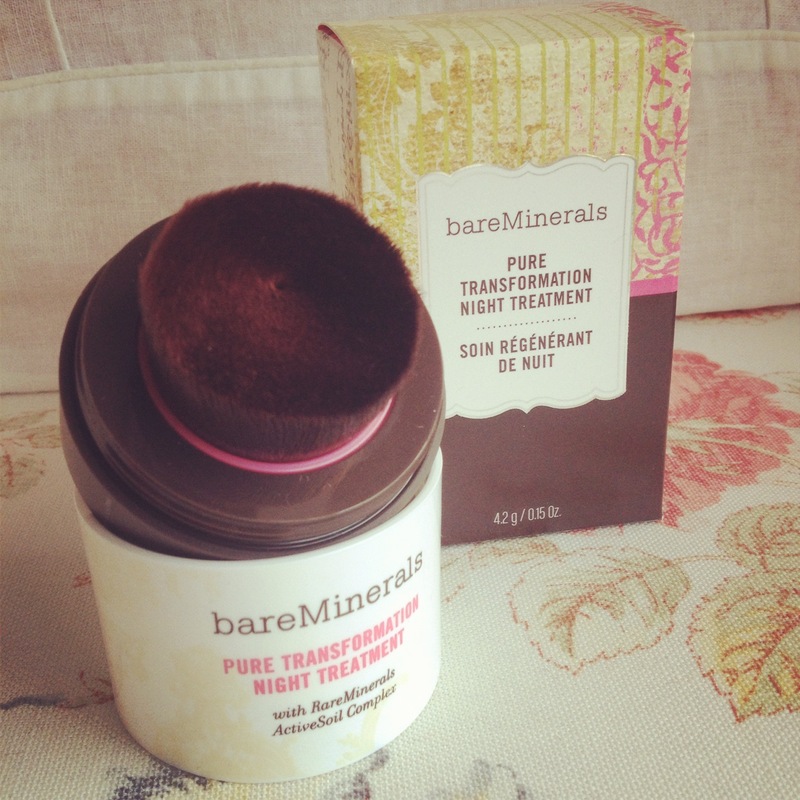 Yet bareMinerals Pure Transformation Night Treatment is just that! Pure Transformation Night Treatment is a sleep mask… in powder form. Weird, right?! 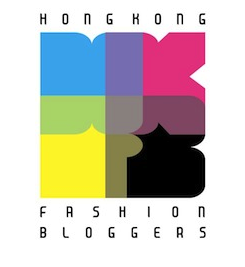 Even weirder – I think it actually might work! 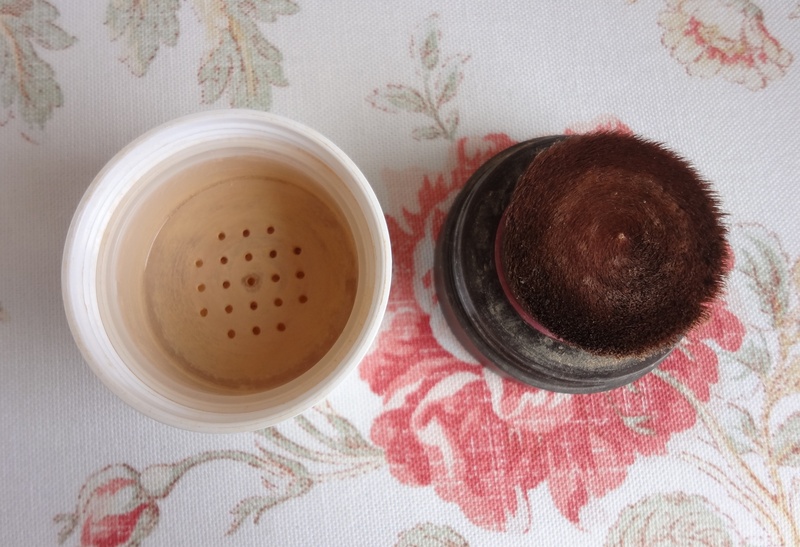 It comes as a finely milled tinted powder in a plastic jar, with a buffing brush inside the lid; you sweep it on just before bed using bareMineral’s signature ‘Swirl, Tap, Buff’ method of application. You may remember in my initial post on receiving this, I was worried that it would stain my pillow – but amazingly (and having accidentally emptied half the pot on my trousers when I first opened it, where it definitely DID stain! ), it hasn’t left a single trace on my sheets. There must be some fairy dust in there, along with bareMinerals famous ActiveSoil Complex! The PTNT (yup… it even has its own acronym) couldn’t be easier or quicker to use – all you do is shake the jar to distribute the powder onto the brush, tap off any excess, then buff a few simple sweeps over your face before bed as the very last step of your skincare routine – so it’s far less messy than the gooey liquid sleeping masks you might be more familiar with, and no fingers are required! (The powder isn’t loose, but contained under a cover with small holes in, to ensure you don’t distribute powder everywhere.) The powder has a slight earthy scent, that’s not unpleasant but not you know, delicious either, but otherwise, it’s wears so lightly that you barely notice anything on your face at all. So let me set the scene… most mornings, I wake up pretty angry that I have to wake up at all. My skin is usually so shocked at being so rudely awoken that it turns even more ghostly pale than usual, making the red blotchy patches that appear from nowhere most mornings even more unappealing. Add to that puffiness, bleary eyes and a generally grumpy expression, and you can understand my severe aversion to morning meetings! Well, the PTNT can’t do much about the grumpy expression, but it’s helped with pretty much everything else! Seriously, this stuff has made a genuine difference – and I say this as someone who examined the jar and press release with a deep sense of scepticism. I wouldn’t go quite as far as saying I glow (and to anyone that does ‘glow’ in the mornings… I automatically hate you), but after using it nightly for around four weeks, it has visibly evened out my complexion, reduced the appearance of pores and made my skin appear brighter and more luminous, an effect especially noticeable on those dreaded mornings where I felt (and before, looked!) like death warmed up (except in my case, not even close to lukewarm). At $520, it does seem a little pricy – but given that you use relatively little product each time, I have a feeling that one jar might last a fair while. As ever with bareMinerals, this is free of all the nasties (like parabens, harsh chemicals and fillers) and full of all the goodies (like those famed ActiveSoil Complex minerals, which are packed with antioxidants). Contrary to what you might think upon first trying it, the product didn’t seem to cause any breakouts or clogged pores either. My only criticism is that, for me, the brush could be softer – it feels a little harsh or itchy swept across my face. Oh, and I’m pretty worried about seeing my morning face sans PTNT ever again. 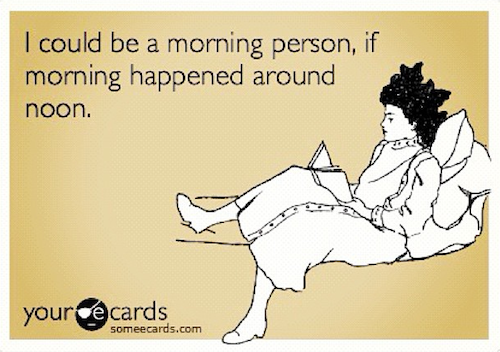 In conclusion, I am NOT a morning person… but PTNT makes me look like one! My bathroom mirror thanks you. 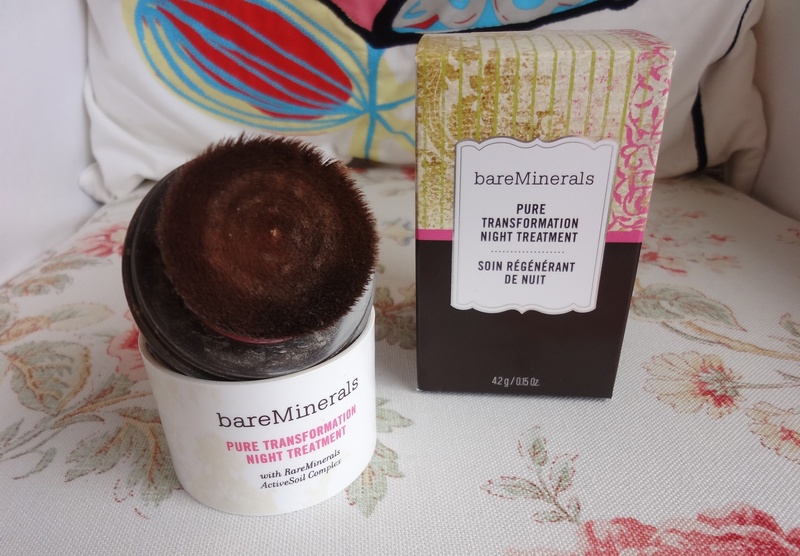 This entry was posted in Beauty and tagged bareMinerals, Beauty, brightens complexion, cosmetics, evens out complexions, make-up, PTNT, Pure Night Transformation Treatment, reduce pores, review, sleeping mask. Bookmark the permalink. Wow….I read similar reviews that this product improves your skin and you can see a visible difference the next morning and it just confirms it is a stellar product. Man, I would love to try this product. I’m currently on a month-long buy ban (a week in) and I think this could be my first real temptation.